Are you sick and tired of paying high heating and cooling bills? Do you want to cut your costs, while investing in your home? Would you be amazed to know that a certain fix can save you a great deal? What you need are new windows. New windows can make all the difference in the world when it comes to retaining heat and cooling inside a home. While older windows will easily vent heating and cooling outside, new windows are significantly better designed, using start of the art technology to reduce your heating and cooling costs. 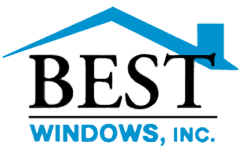 Here at Best Windows Inc. we have made it our job to help you replace your old, inefficient, hard to clean, and worn out windows with something better. If nothing else, we will provide you with a free window replacement quote Westmont IL. If you are a homeowner, then you pay for heating and cooling. Whether this is gas or electric, most homes in Westmont are built around the same time, using outdate technology that allows air inside to easily escape outside. While it costs nothing to keep the windows you have, you are secretly losing out on hundreds of dollars of heating and cooling you would otherwise not have to pay for. With new windows, you can make use of revolutionary technology to stop this heat loss while adding value to your home. 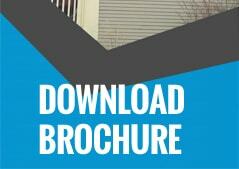 For Westmont IL residents, we will provide a free window replacement quote. Yup. There are no strings attached either. We understand and respect your right to go with one of our competitors after receiving a free quote. If you do decide to go with us, our ultimate goal, with your permission, is to replace your old, energy-wasting and hard to clean windows with new models that will save you time and money. Making use of years of experience working in the community, we specialize in helping to save you money. Best Windows Inc. truly provides the best windows for your needs. Our windows are low E coated glass filled with argon gas, triple weather stripping in sashes for less air filtration, tilt-in feature for easy cleaning, and NFRC U-rated .27 or below rating.Once again, we will provide a free quote for you at no extra charge. Contact us today to request a free estimate or to ask us any questions you may have. You may call us at (708) 204-2446, or visit https://bestwindows.net/ for more information about free window replacement quote Westmont IL.